Take your dream SUP surf vacation by chartering with Bali SUP Yacht Tours. BALI, Indonesia - Bali, the island of the gods, was given the label of Stand Up Paddle Heaven back in 2007 by Starboard International Team Rider Pete Cox, a long term Bali Resident & person credited with putting in the most paddle strokes on the island discovering new spots & pushing the limits for what had yet to be ridden on Stand Up Paddle boards and sharing his stoke with many visitors via his SUP Bali operations. However, as things progress & the world continues to move forward, diamonds become harder to find & locations become more loaded with those wanting to enjoy and Bali certainly hasn't been missed in this. It was with this idea & the need for fresh discovery in mind that the islands to the south of Bali fell easily onto the radar of the seasoned Indonesian surf charter operator and Australian Brian “Willy” Williams , who has done his time in the northern Indonesian islands of the Mentawai, Nias chains & now unveils his amazing 23 meter traditional Phinisi vessel fitted out with all the necessary comforts, but retaining the charm of Sulawesi master craftsmen following tradition of centuries. The Mikumba I accommodates ten(10) in absolute comfort with four(4) twin air conditioned cabins & two(2) doubles with ensuite bathrooms. The air conditioned dining room provides a nice retreat, however, our most popular area is the outdoor top deck which offers incredible 360’ views of Bali’s Mount Agung, Lombok’s Mount Rinjani, and the fascinating sights that lay before you as we cruise the waters of the Indonesian archipelago. The combination of seasoned surf charter operator, experienced Stand Up Paddle guide & qualified SUP instructor has allowed packages to be created to tick all of the boxes & provide something more than just a surf trip. The Mikumba I pulls anchor & departs from Serangan Harbor, Bali as she sets sail toward Nusa Penida & the waves of Nusa Lembongan, which sit just a few comfortable hours away & offer a great welcome to those on board. Following a stop off here, it is time to head to the top deck & spread out on the sunbeds & bean bags as we head south toward a group of thirteen(13) islands located nearby to the Gilis with secret surf spots, secluded beaches & snorkeling in aqua marine waters. Morning yoga on the huge top deck is something that is extremely popular with our guests as our crew prepare a breakfast of fresh juices & healthy meals all included in your travel itinerary. The west coast of Lombok has some nice waves as we sail around the Sengigi area, and more hidden gems toward Gili Trawangan which is a region that mother nature created for flat water exploration with endless beauty and macro photo opportunities on the reefs that must be experienced & our crew is available to coordinate this with reputable dive centers in the area. The Mikumba I has the option to motor sail which allows us to make way at approx. 8 knots which is a comfortable cruising speed to move between the flat water paddling destinations & the classic waves of Indo as per the request of our guests. Check out more SUP Surf Destinations here. There is a selection of Stand Up Paddle boards included on the Mikumba I or you may bring your own, to be sure you have the correct board under your feet for your chosen indulgence. If you feel like changing it up a little during your vacation there are a wide range of alternate activities to participate in daily such as kayaking, freediving, spearfishing, yoga, skurfing, surfing and more. SUP yoga trips and training retreats are something that the Mikumba I offers available with well-established yogis & highly qualified SUP Instructors providing a totally unique Indonesian charter vessel experience. The scenery is breathtaking, the crowds are non-existent and the boat is full of creature comforts, so come and spend some time with us. May to September is the main swell season for this region of the Indonesian Archipelago with consistent groundswells generated from low pressure systems off South Africa making their way through the Indian Ocean. The easterly trade winds groom the waves making Indonesia the most consistent and perfect surfing destination in the world. Our exclusive 6-day trips set sail from Bali and take in Lombok and surrounding islands before heading back to Bali and are great value at $1,000 USD, which includes three healthy meals, snacks and soft drinks daily. SUP equipment and other activities aside from diving are also included. Trips are available year round and the surfing season is from May to September. The Mikumba I also operates Stand Up Paddle tours in North Sumatra late in the season visiting the Mentawai, Tello, Nias, Banyak and Simeulue islands. Available trips are 11 nights for $3,000 USD or 6 day trips can be arranged. Pete Cox is the Australian agent offering these great escapes through the Stand Up Traveller. 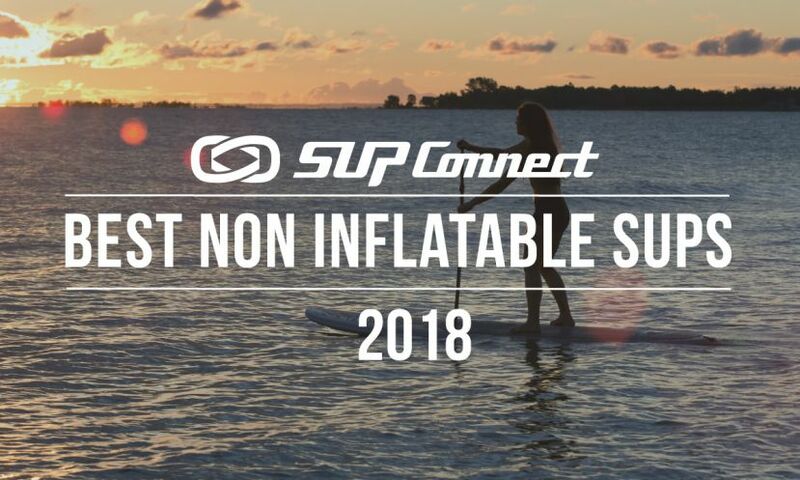 See more SUP destinations via the Supconnect Destinations Page. Brian ‘Willy” Williams has been traveling Indonesia in search of perfect empty waves since ‘88. He was a pioneer of many Sumatran surfing spots and has been operating surfing charters since the mid 90’s and set up the first surf camp in remote Simeulue. He is a humanitarian heavily involved in the post tsunami relief efforts in 2004. Today he is a passionate SUPer and family man.